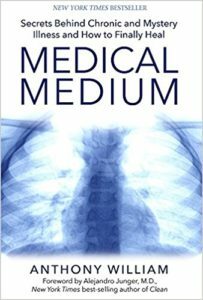 I am a big fan of Anthony William, author of Medical Medium, Life-Changing Foods and Thyroid Healing. As a natural health practitioner and researcher, I see his works as the greatest contribution to natural health in the last decade and I’m privileged to be able to integrate this knowledge into sessions with my clients and see the positive results. 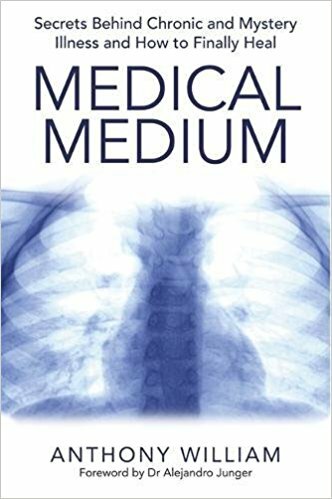 Through the Medical Medium information we have a much better understanding of what is at the heart of chronic, mystery, ‘autoimmune’ illnesses, and how to heal. Rather than the immune system attacking itself, as conventional medicine tells us, we now understand that it is in fact viral infections which are at the heart of many illnesses. We also understand that accumulated toxicity from chemicals, metals and radiation in our environment feeds those viruses and can be passed down through families. Most importantly we now understand the most effective ways to heal. The information is slow to be grasped in the UK but I know there are thousands of people out there putting his work into practice diligently in their homes and daily lives and finding incredible results. If you are following his protocols, I can use kinesiology muscle testing to help you to work out exactly what supplements, dosages and herbs you need to take. I can test you for toxicity, metals, pesticides, chemicals, and viruses and bacteria. Over time we can monitor how the protocol is helping you and what we need to do to ensure a consistent and gentle detoxification. I will share tips, advice and recipes to make it easier for you to integrate the approach into your lifestyle. Some of the supplements Anthony recommends can be difficult to obtain in the UK and Europe. I have provided a comprehensive list of where to find some of these supplements, or if they aren’t available, some suggestions for brands that I Use. This list is available on my Resources page. If you are a client of mine I will have worked with you to identify exactly which brand and dose of supplements to take. You can then go ahead and purchase them by following the links below.